What Were the Hottest Strains in September 2015? Which strains were the most trending across dispensary menus in September? Leafly took a look at which items were added to menus across Arizona, California, Colorado, Michigan, Oregon, and Washington and determined which varieties came swarming in the last 30 days. The above chart shows the top five most frequently added strains in the last month, separated out by state. But why were these particular strains in such high demand? 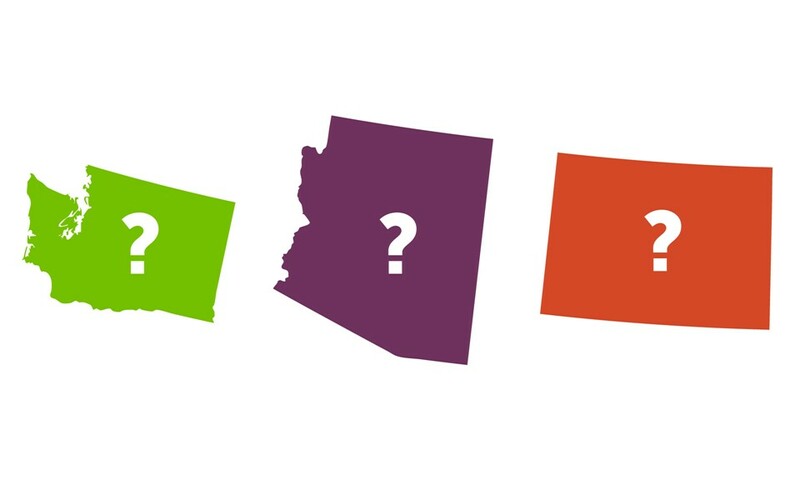 Purple Trainwreck, also known as Granddaddy Wreck, took the lead in Arizona this month. A cross between two immensely popular strains (Granddaddy Purple x Trainwreck) with beautifully twisting hues of purple, it’s no surprise this hybrid is climbing to the top of menus across the state. Running close behind is the coveted but rare Green Crack, a wild sativa strain with huge appeal to consumers that seemingly possesses no ceiling to its high-energy euphoria. No surprises in California, Washington, and Oregon this month – Blue Dream, queen of the West Coast, kept growing across menus in all three states. California menus continue to cater to the demands for GSC (f.k.a Girl Scout Cookies) and OG Kush, while Oregon and Washington busted out some less predictable varieties that consumers might not have tried yet. Though bred in Kansas, Golden Goat is, was, and will likely forever be one of Colorado’s most cherished strains. With pungent lemon-scented buds completely enveloped in crystal resin and fiery orange hairs, it isn’t hard to see how the reputation of this hybrid is continuing to grow in the Colorado market. Michigan continued to increase its stock of the award-winning Original Glue, a strain named for its sticky blanket of crystal trichomes that could literally glue your fingers together. This strain is a THC powerhouse and often tests well over 25 percent, so it’s not difficult to imagine how this heavy-handed hybrid stole the hearts of connoisseurs throughout the state. 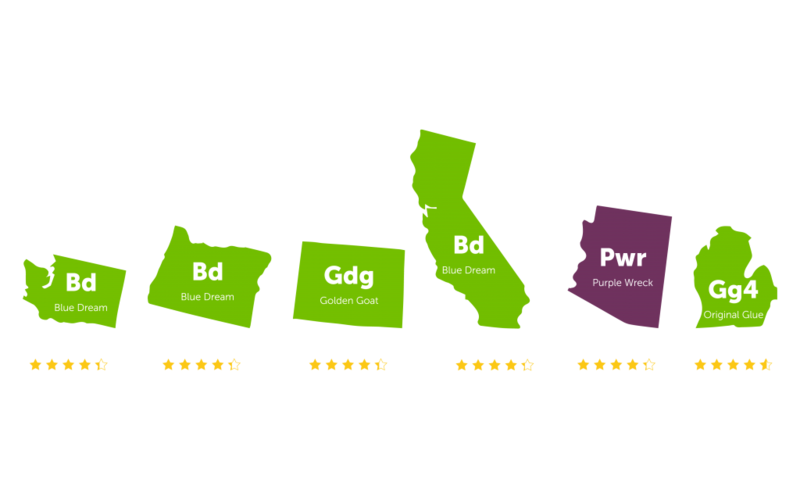 The most popular cannabis strains and their average ratings for Washington, Oregon, Colorado, California, Arizona, and Michigan. Is your cannabis shop staying competitive by stocking these highly demanded strains?Check in again next month for more Leafly-driven data meant to help your business thrive! While you wait for our next chart to debut, learn how Leafly can help you grow your cannabis business!